* Add a vintage touch to your home's décor with this personalized canvas print. * The unique style blends elements of vintage nostalgia signs with modern text fonts to create the perfect conversational décor piece. 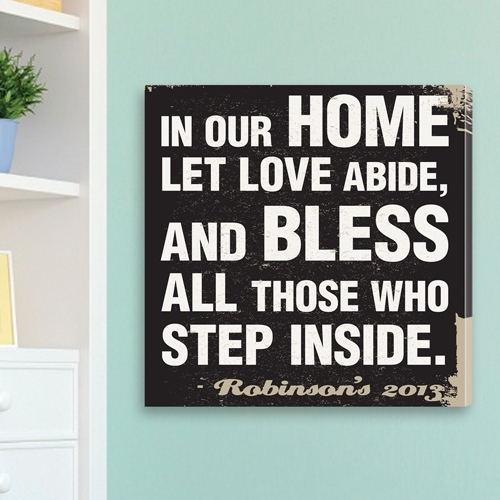 * Designed in black and white with vintage textured details, it features a simple home prayer that can be customized with your family name for a customized canvas print that is both stylish and inspirational.